The blueberries are ripe for picking and we've been to the berry farm twice this week. 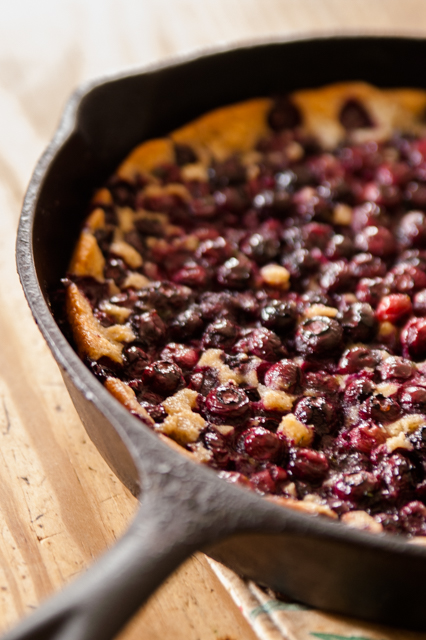 Clara made this cobbler for those who eat gluten. Besides that, we've been feasting on milk glass teacups full of them with every meal. I've seen this but never tried it. It looks delicious. I wonder if you could use a gluten free flour mix like Pamela's. This looks delicious! Any ideas for no bake desserts during the hot summer months? Thanks!